The words of some famous artists structure this short discussion informed by my knowledge as a teacher and researcher. Particular thanks go to Picasso! Young children have a natural curiosity to explore the world around them. They enjoy making sense of new experiences and the discovery that they can make marks – often first of all with spilt food or drink – is a very exciting and significant one. When they can hold a crayon or a paintbrush their artistic energy can be limitless. A key point in artistic development is the ability to form a circle, as this can stand for anything – a basic building block. However, we shouldn’t make the assumption that young children’s early, playful ‘scribbles’ are meaningless. Just because we can’t see the meaning doesn’t imply that the artwork lacks meaning to its maker – a parallel can be made to an adult artist’s abstract work! It is a shame that some people only value representational artworks – equating ‘good art’ with that which is most like real-life. Crucially, young children’s artwork is often more expressive than representational and they don’t always paint ‘things’ that are recognisable to adult eyes. They really do see the world differently and invent their own ways of communicating memories, ideas and feelings that may just have existed for a fleeting moment. Very young children don’t tend to think of what they are making as ‘art’ – they are just engaging with interesting materials and leaving a physical trace behind them. Indeed, the process is often what is most important and enjoyable to young children – a type of play. In addition, art making is often a ‘multimodal’ experience that may include singing, dancing, self-talk, and writing – the latter particularly with older children. Boys, whose fine motor control typically develops later than that of girls, tend to prefer working on a large scale and in three-dimensions. In contrast, girls often prefer adding detail and colour to drawings, paintings etc. 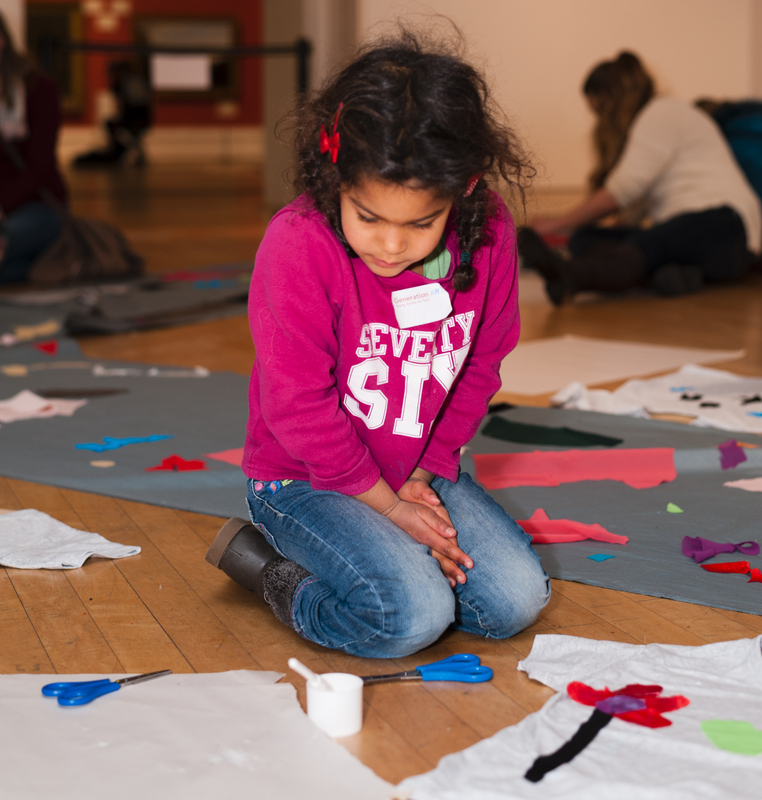 Importantly, all young children need the time and space to fully immerse themselves in their art activities. One of the most vital reasons for young children to make art is that it offers a potentially rich form of meaning-making and communication. They can share what they think, feel, know, imagine and wonder. With all the different forms of visual communication we have in the world today it’s essential that children develop the artistic skills to make and understand visual ‘messages’. Adults should talk to children about their art making, but equally must be respectful when they have not much, or nothing, to say. 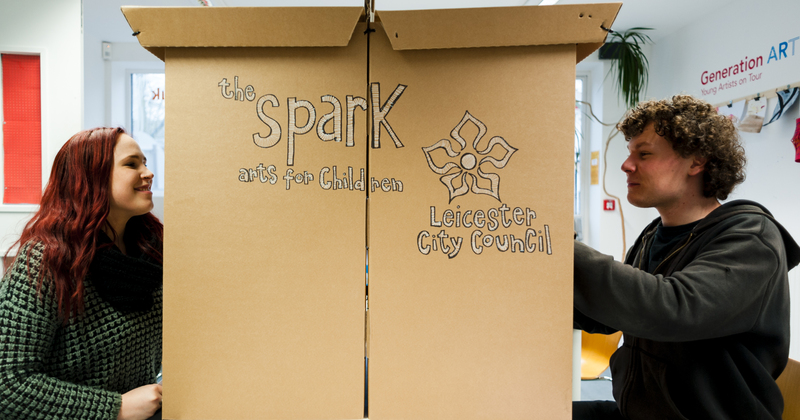 However, as noted above, sometimes the process of making the artwork was enough in itself for the child – there isn’t always a story to tell about it. When young children use their imaginations to make artworks there is a thin line between fantasy and reality – sometimes no line at all. Art allows the maker to create his or her own worlds where anything is possible and this can be extremely empowering. The same is true for adult artists, but a key difference is that young children nearly always make art from imagination and experience rather than from direct observation. Although they like to look closely at things, the process of transferring these observations to paper is often beyond their developmental capabilities. It’s worth noting that a young child who is keen to make observational artwork is likely to have a special talent and this should be carefully nurtured. When left to their own devices, young children will choose to make art about what they genuinely care about. It can therefore be very insightful to look for patterns in their artistic choices in terms of themes and materials – this is where they can benefit from lots of sources of stimulation and encouragement to try new things. Also, when children are happy, angry or sad they may turn to art making to try to make sense of these emotions. Being able to make feelings visible through art is a useful skill and evidence of ‘emotional literacy’. A note of caution, though – adults can be quick to jump to conclusions about the significance of young children’s art work, so it’s best that any psychological analysis – if truly needed – is left to experts. Everyday life can provide great inspiration for young children’s art making. They will often make artworks based on memories of where they have been and what they have seen; significant people and places. Sometimes they will develop obsessions with familiar stories and characters originating from film, television, computer games, books etc., but more often than not they will put their own original ‘spin’ on these examples of popular culture rather than just replicating what they have encountered. As any artist knows, inspiration is all around us and making art is a good way of keeping a record for future reference – this is where a sketchbook is useful for older children. Self-expression is a term often associated with art making, as when anyone makes a piece of art they are saying something about themselves to others – especially when the art is personally motivated rather than requested. As noted above, young children’s art making is often very much about expression rather than representation and observation. However, self-expression can be understood to imply something that is internal and fixed. If we take the line that artistic communication/ability is innate, then we are shutting down the potential to develop with support. What adults need to see is that all children have artistic capabilities that can be extended, and ‘unconventional’ artwork demonstrates the creativity of the artist. Many twentieth century artists aspired to make art with a child-like beauty and ‘purity’. The visual simplicity of young children’s artwork is what makes it so pleasing to adult eyes – they seem to achieve so much with so little. It is often said that children draw what they know, but this is not always the case – they just draw what fulfills their purposes. Take, for example, the common practice in early years settings of requesting ‘a drawing of a person’ that is then assessed for its life-likeness. Just because the figure has no nose or fingers it does not mean that the child doesn’t know a real person has a nose and fingers! It can be very misleading to link drawing ability to intelligence and, importantly, young children usually don’t like being told what to draw. Young children appear to be naturally artistic, but although they have an innate desire to explore and learn, their art making is always shaped by social and environmental influences. In order for young children to sustain a love of art making as they grow up they need to be given new materials to try, taught to look with increasing concentration, to be asked to reflect upon their art making, to talk about other people’s art, think about how and why it was made and how it might help them to become a better artist. Young children have limited critical capacity, which explains the spontaneity of their art making compared to more cautious older children. Adults have a key role in encouraging criticality when children seem ready, as this is a positive way of becoming a more confident and capable artist in the future.